Turnout for next week’s primary should be around 35-38 percent in San Diego County, matching the historical average for recent elections of similar type, Registrar of Voters Michael Vu said Wednesday. He said it initially appeared that turnout would be lower, based on a slow rate of return of absentee ballots. The Memorial Day weekend could have had something to do with it, according to Vu, who told City News Service that 32,000 mail ballots arrived this morning. “That makes me a little bit more hopeful,” Vu said. He said that 162,000 of the 840,000 ballots mailed to registered voters in San Diego County had been sent back as of today. 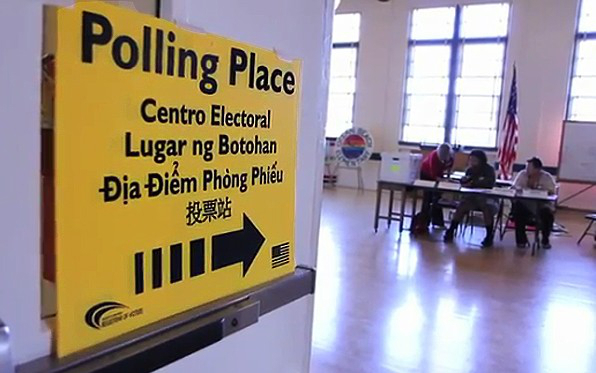 Meanwhile, around 200,000 San Diegans are expected to hit the polls Tuesday, Vu said. The election includes primary races for governor and other statewide offices, Congress and the state Legislature, District Attorney and City Council offices. Three propositions are on the ballot for residents in the city of San Diego, and one each in Coronado, parts of the East County, and part of the desert of northeastern San Diego County. The Registrar of Voters Office is still looking for 150 poll workers, who will receive $75 to $175 for their service on Tuesday, depending on their assignment. An ability to speak another language — like Spanish, Filipino, Vietnamese, Chinese, Khmer, Japanese, Korean and Hindi — is helpful, but not necessary. Poll workers must be registered voters in the state of California or be legal permanent residents in the United States and have transportation to their assigned polling location, according to the registrar’s office. They will also need access to the Internet to complete an online training session and attend a two-hour class. 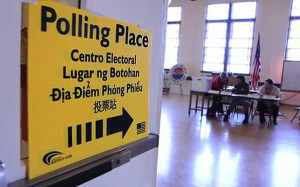 Prospective poll workers can apply online at www.sdvote.com. More information is available at (858) 565-5800, or via email at pollworker@sdcounty.ca.gov.